From mattresses to TVs, they found some great discounts. The month of February may be traditionally cold, but experts say there are plenty of hot deals to be found when it comes to purchasing everything from mattresses to electronics to flowers and dating services. Here are a few categories Skirboll says savvy shoppers would be wise to pay attention to now through Presidents Day weekend. As we start to bid farewell to winter, sales on clothing are heating up, Skirboll said. Retailers are anxious to clear their shelves and make room for summer merchandise. Long weekends like Presidents Day weekend are prime buying opportunities for big-ticket items, including mattresses. According to Skirboll, this month mattresses are, on average, 23 percent off. 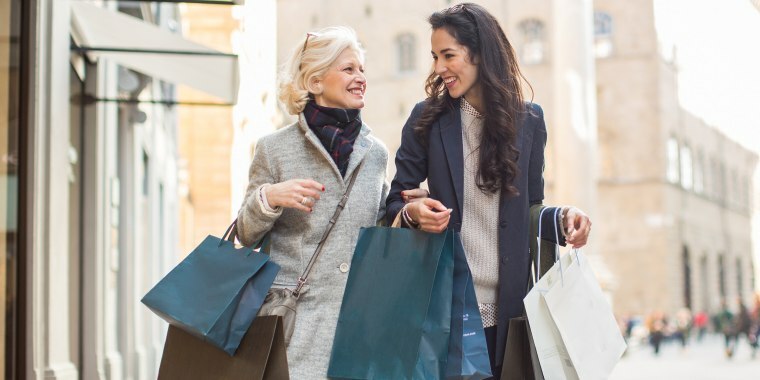 “Shoppers like to use the extra time to think through a larger investment, and Presidents Day weekend is a great opportunity to look around and test-drive options,” Skirboll said. Looking for a new computer? Turns out Black Friday isn’t the only time to snag big savings on the electronic items you’ve been eyeing. According to Skirboll, electronics are, on average, 30 percent off in February. “Retailers like Best Buy celebrate Presidents Day with four-day sales over the long weekend where items like printers, computers, TVs, tablets, laptops and electronic accessories are deeply discounted,” she said. If you’re on the lookout for flowers, this is the month for you, Skirboll said. Skirboll and her RetailMeNot team report that flowers are reduced by, on average, 20 percent (or around $10) this month. If you’re still looking for your valentine, Skirboll said February is a great month to sign up for a dating service. This month, subscriptions to dating sites are, on average, 53 percent off. “With the peak of dating season, online dating sites and apps are here to help those looking for a partner,” Skirboll said. Finally, February is the time to invest in a new perfume. According to Skirboll, fragrances are, on average, 23 percent off in February. So if you feel like straying from flowers and chocolate as a Valentine’s Day present, Skirboll said now’s the time to buy your significant other perfumes and colognes.